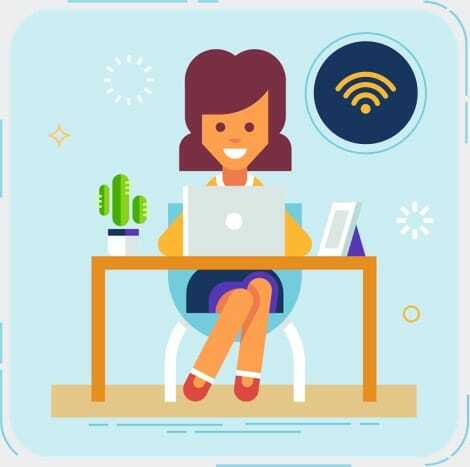 Usually, when you sign up for home Internet, you sign a contract for a specified period of time. Unless you sign up for a no annual contract broadband Internet plan by Frontier®. That’s right. When you sign up for no annual contract home Internet with Frontier, you get all the benefits of Frontier Internet, like No Data Caps*, fast and reliable Internet speeds, and 24/7 tech support, without being locked into a long-term agreement. No annual contract Internet isn’t limited to just Internet–you can bundle Internet and TV without a contract too. 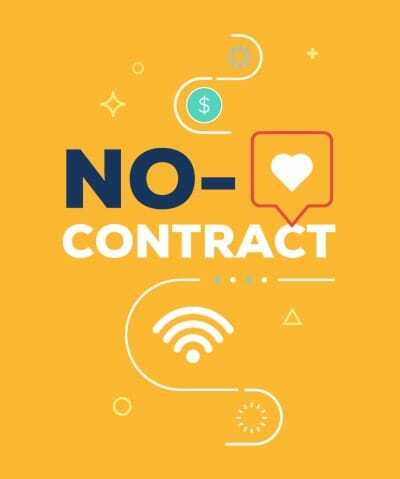 Whether you live in a FiOS® by Frontier area, or a High-Speed Internet area, you can sign up for a no annual contract plan. No annual contract so you're not locked into a specific time period. Cancel when you want without paying cancellation fees. Pay only for what you want. Get the help you need whenever you need it. No need to worry about your neighbor hogging your bandwidth.